• Almondaire is a dairy-free, almond-based cream liqueur that is also gluten free, vegan and rich in flavor and texture. 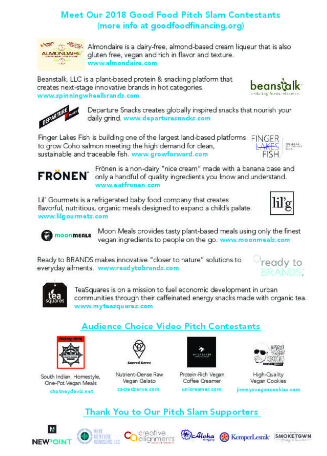 • Beanstalk, LLC is a plant-based protein and snacking platform that creates next-stage innovative brands in hot categories. • Departure Snacks creates globally inspired snacks that nourish your daily grind. • Finger Lakes Fish is building one of the largest land-based platforms to grow Coho salmon meeting the high demand for clean, sustainable traceable fish. • Frönen is a non-dairy “nice cream” made with a banana base and only a handful of quality ingredients you know and understand. • Lil’ Gourmets is a refrigerated baby food company that creates flavorful, nutritious, organic meals design to expand a child’s palate. • Moon Meals provides tasty plant-based meals using only the finest vegan ingredients to people on the go. • Ready To BRANDS makes innovative “closer to nature” solutions to everyday ailments. • TeaSquares is on a mission to fuel economic development in urban communities through their caffeinated energy snacks made with organic tea. • Chutney Devis is a women-owned, Chicago-based business that specializes in homestyle South Indian one-pot meals that are vegan and gluten free. • Sacred Serve is a conscious creamery proudly manufacturing the Midwest’s first and only nutrient-dense raw vegan gelato. • Unicreamer is an on-the-go vegan coffee creamer infused with five grams of plant-based protein and coconut oil. Four of the business participants in the Pitch Slam — Departure Snacks, Lil’ Gourmets, Ready To BRANDS and TeaSquares — are graduates of FamilyFarmed’s four-year-old Good Food Accelerator (GFA) program, which plays a central role in the Good Food Financing & Innovation Conference (the Conference and the Accelerator, combined, have helped generate $50 million in financing deals for entrepreneurs). • Cultured Love offers unique flavors of probiotic-rich, nutrient-dense, organic sauerkrauts. • Farinata Project recreates Italian chickpea flatbread for the modern American market that is both naturally grain free and high in protein. • Flùr is a gluten-free bakery with a mission to ensure that people dealing with celiac disease or gluten intolerance can enjoy the same high-quality baked goods as those who are not affected by gluten. • Here provides great-tasting products such as bean dips, juices and salad dressings that incorporate local and organic produce and are made locally by members of the Chicago community. • ‘Laine’s Bake Shop is a family-operated artisan baking company focused on connecting people through Good Food as a way to revitalize urban communities. • No Denial Foods creates decadent, sweet tooth-satisfying treats and snacks that are made with simple, nutritious ingredients that happen to be gluten-free, grain-free and low in sugar and carbs. • Tempo is a vibrant line of sparkling teas crafted to deliver a guilt-free boost of natural energy. • Verzênay Patisserie makes chef-crafted breakfast and dessert items with clean, locally sourced ingredients that also support economic development for women. FamilyFarmed thanks NewPoint Marketing, New Venture Advisors LLC, Creative Alignments, Aloha Print Group, Kemper Lesnik and Smoketown Strategy & Innovation for their support of the Pitch Slam at the Good Food Financing & Innovation Conference. 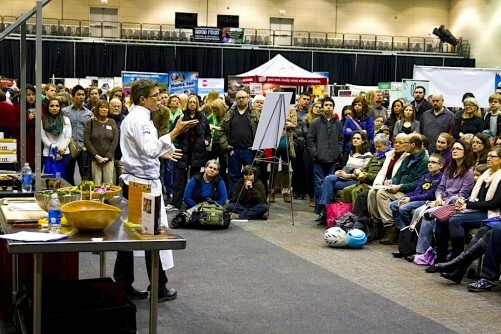 This entry was posted in Uncategorized and tagged 'Laine's Bake Shop, Almondaire, Aloha Print Group, Beanstalk LLC, Chutney Devis, Creative Alignments, Cultured Love, Depature Snacks, FamilyFarmed, Farinata Project, Finger Lakes Fish, Flur, Fronen, Good Food Financing &Innovation Conference, Here Chicago, Jimmy'sVegan, Kemper Lesnik, Lil' Gourmets, Moon Meals, New Venture Advisors LLC, NewPoint Marketing, No Denial Foods, Ready To BRANDS, Sacred Serve, Smoketown Strategy and Innovation, TeaSquares, Tempo, Unicreamer, Verzenay Patisserie. Bookmark the permalink. 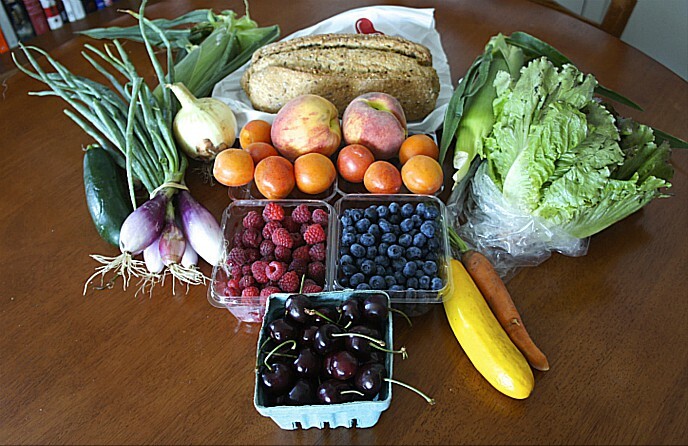 ← Good Food Insights: What Does “Good Food” Mean?